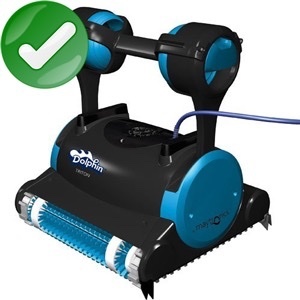 These are the top 10 robotic pool cleaners in 2019, according to our research and leading independent owner-verified pool robot reviews. Cleaners for above ground and in-ground pools are noted. 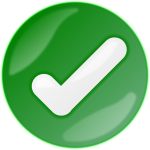 We use the 4 criteria below to assign our ratings. Our final star rating is the unweighted average of these four scores. 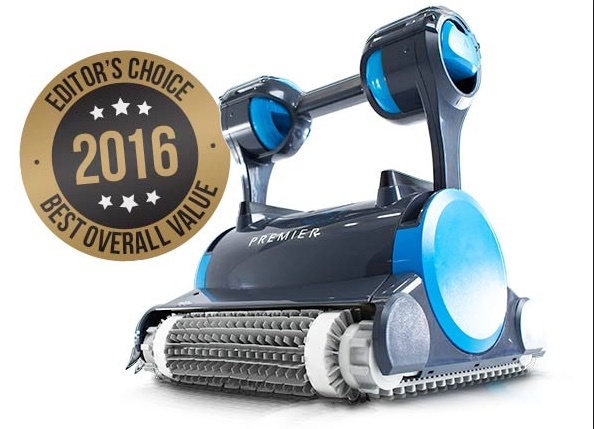 Value: for the price, how does this pool cleaner compare with its competitors in terms of features, cleaning ability and maintenance costs? 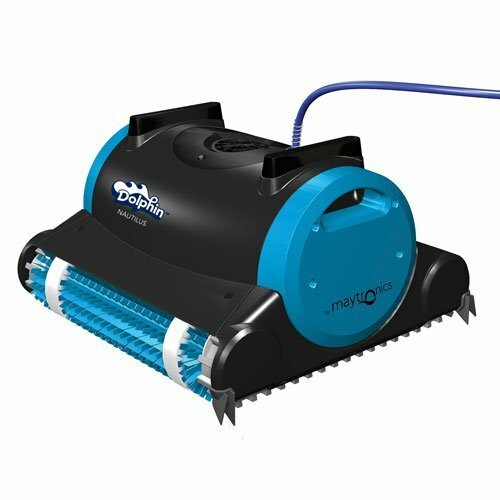 Wall Cleaning: how well does this pool cleaner clean hard-to-reach vertical surfaces? Energy Efficiency: how much does it cost to run the pool cleaner each month? 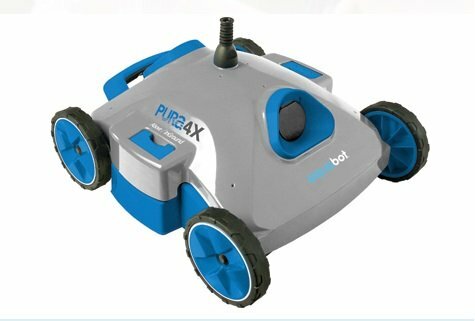 Floor Cleaning: how well does this robotic cleaner pick up all sizes of debris – including fine particles like sand and grit? 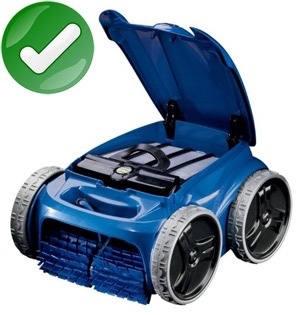 Robotic pool cleaners are an especially good choice for cleaning an inground pool. Older pump-driven pool cleaners often cannot reach the custom-molded steps, raised sitting platforms and irregular features that many inground pools have. This means you’re left to brush and clean those sections yourself. The units above do this – and more. We are reviewing it right now, actually. The review should be posted within the next week or so. 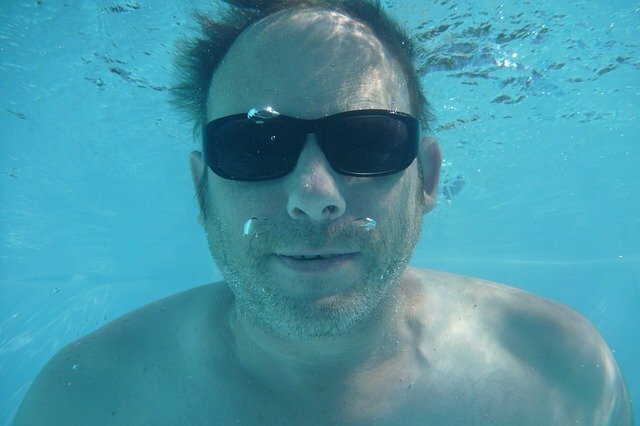 I have a salt water pool and I am constantly battling black algae. I am trying to decide between the Dolphin Triton Plus and the Polaris 9450 Sport. Can you recommend one over the other? I am most concerned with the ability to clean the algae and climb/clean the walls. Thanks! They both scrub algae well. But the Triton Plus performs better on stairs and walls than the Polaris. 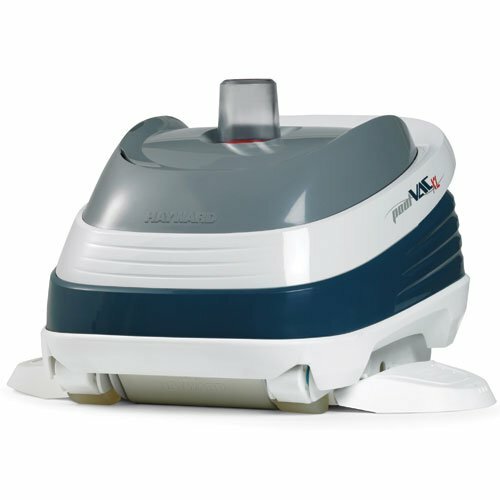 To remove surface leaves, you need a pool surface skimmer. 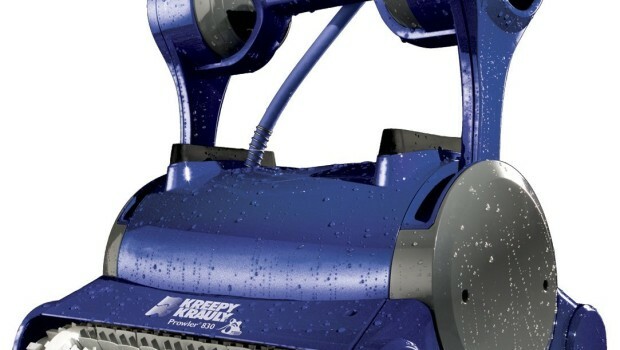 The only robotic pool skimmer I know of is the Solar Breeze NX, which is solar powered (no cables – yay). But it’s expensive, at $700-800. Make sure you get the NX, it’s been updated for 2016. 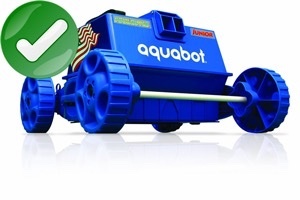 For your leaf-infested above ground pool, I’d recommend the Aquabot Pura 4X. It’s a proven above ground cleaner that is known for its ability to climb walls. I have an old fully tiled pool with square corners floor to wall, is there a robotic cleaner capable of climbing this type of tiled pool and can it operate under a solar blanket. 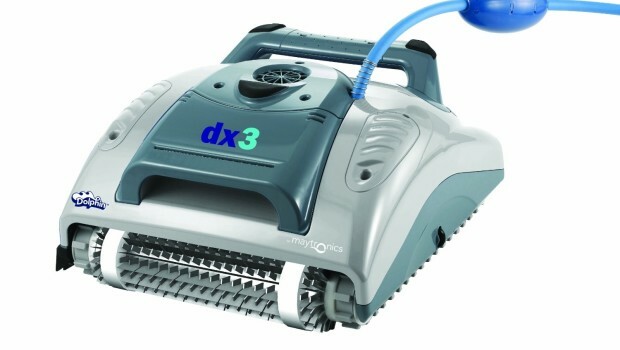 Given the usual uneven surface of an older tile-sided pool, I’d recommend buying a pool cleaner that relies on water jets to press the cleaner against the wall during vertical climbs, instead of units that rely on suction/vacuum pressure, sticky belts or wheels. I own a gunnite pool under large oak trees, so I understand your problem. If you have a LOT of leaves, then you will probably run your cleaner every day like we do – and even then, no pool cleaner will pick up everything when your trees are shedding. The stuff just comes down too fast. 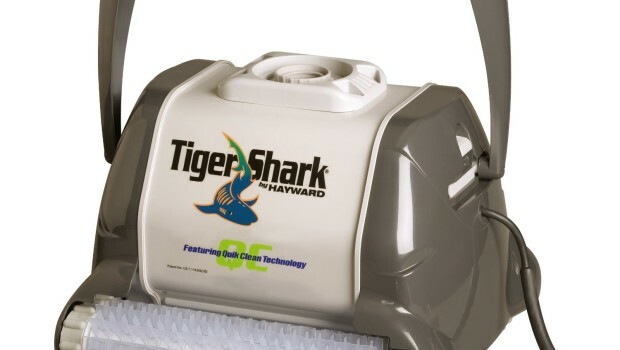 That said, right now I’d recommend the Dolphin Quantum – its top-loading x-large filter bin means easier and less frequent cleaning. Cleans walls/vertical surfaces very well, too.